Fruit Futures Initiative Gary planning drawing for Seven Year Lot. Courtesy the artist. 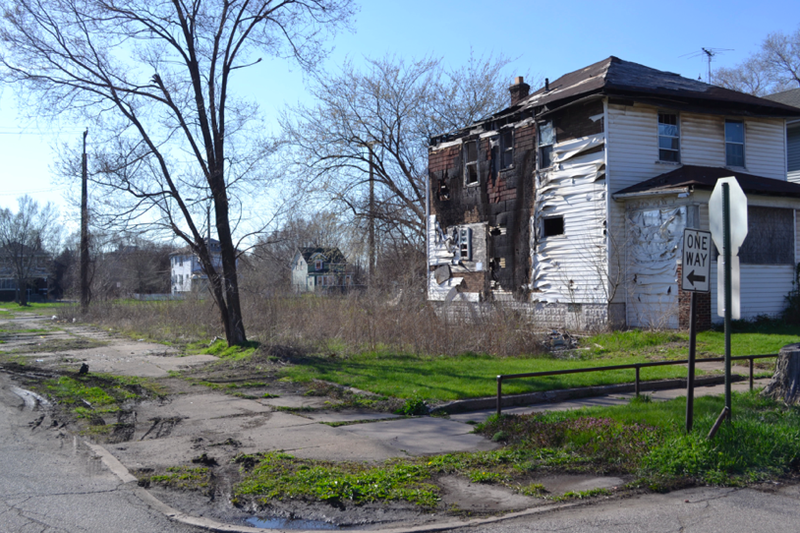 In Gary, Indiana 2016 ABOG Fellow Frances Whitehead is working with a team of community leaders on developing a series of linked civic projects launching small fruit culture and economy. 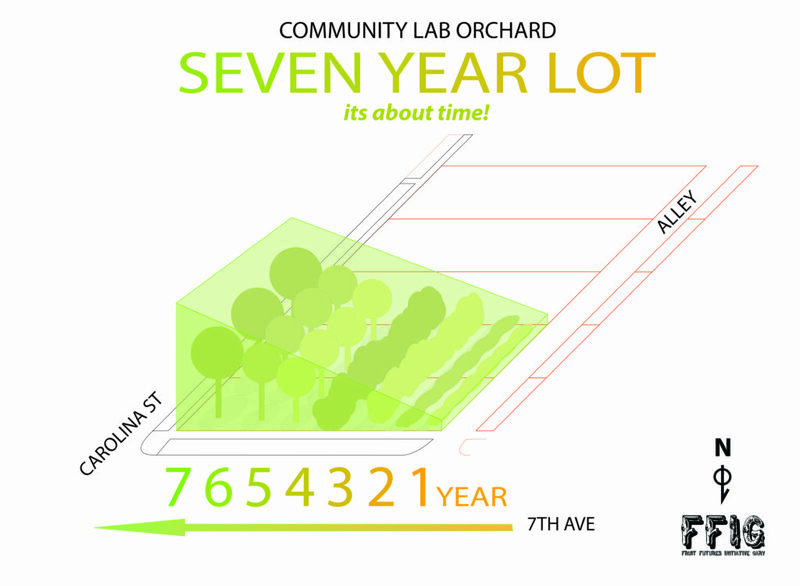 Fruit Futures Initiative Gary is centered on an experimental community orchard in the Emerson neighborhood. 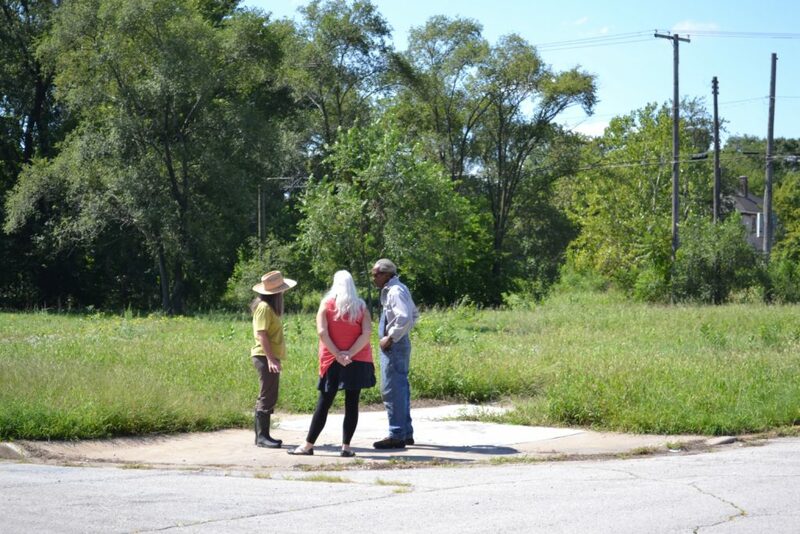 Johanna Taylor from ABOG caught up with the project’s Master Gardener Walter Jones to talk about urban agriculture, fruit, and community. Walter is a member of the project’s organizing group Community Orchard Collaborative, a dedicated team of collaborators bringing diverse skills and experience together to make it a reality. 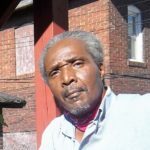 A Gary native, he has decades of urban agriculture experience with other gardens in Gary and a longstanding dedication to the community in Emerson. 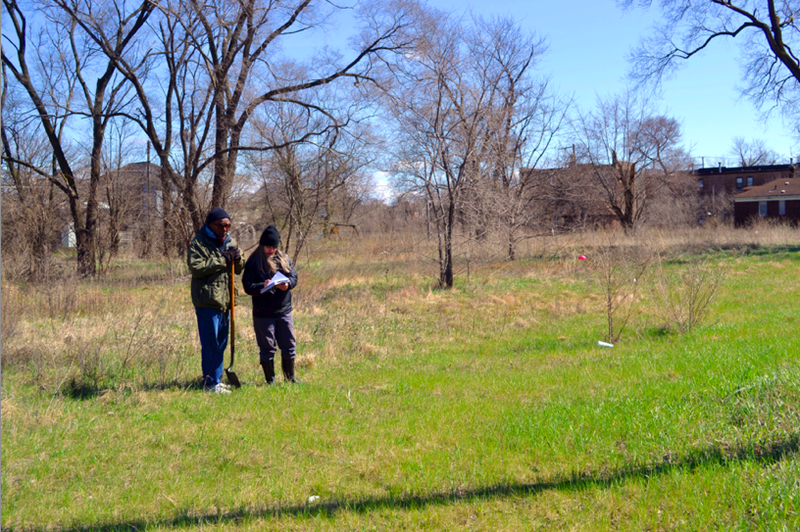 In collaboration with Walter and Frances, Community Orchard Collaborative member and environmental engineer Deb Backhus is working with orchard soils and contributing to the layout of the site. 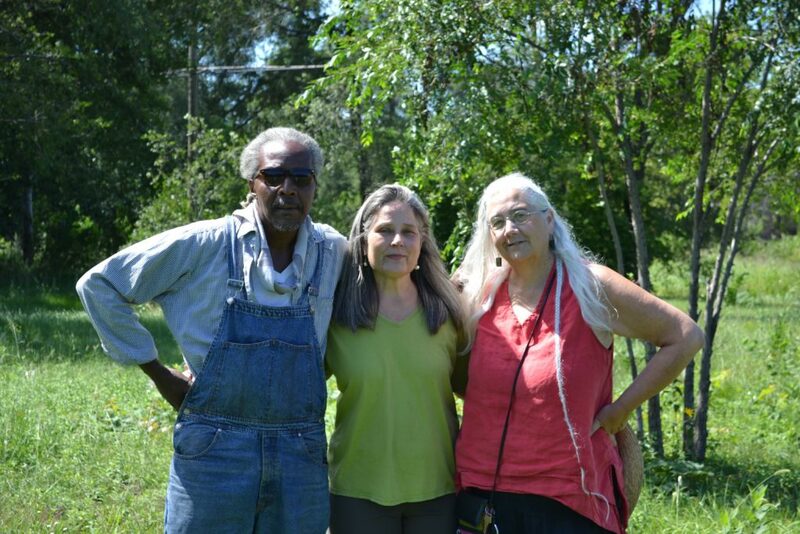 Walter Jones, Frances Whitehead, and Deb Backhus. Courtesy the artist. 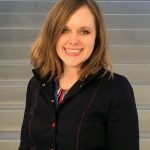 Johanna Taylor (ABOG): How long have you been a gardener? Walter Jones (WJ): When you take a look at what brings you to that point, all of my parents and uncles and aunts they all had that interest. They all expressed it a lot while I was a kid. More than anything I am just continuing [their] practices. ABOG: What is your role on the project? WJ: I have been investigating what sorts of cultivars (a plant variety that has been produced in cultivation by selective breeding -ed.) and what we are going to plant. I am one of the number one dirt diggers. I live about four blocks from the site that we are going to use for the project. ABOG: How was the site for the orchard chosen? WJ: We looked at several sites before we found the current [one]. It is adjacent to a greenhouse project and also very close to a historic school that we’d love to see used for green and community things. The school possesses the potential to house so many sorts of activities and we’d love to see it refurbished. The garden is going to provide opportunities to see urban agriculture up close and personal. It is going to help us create place. My end of town has become quite depopulated. The space needn’t all be turned back into residential or commercial or some other space. This end of Gary has a commuter train, buses, and three highways. I like to think that I live in the front door of this town. Let’s balance some of that industrial look with green space. Space to move, space to gather, space to just breathe. ABOG: It sounds like there is great interest and need in the town for this project. How are people responding to this idea in the community? WJ: The response is positive. I think of the character of Henny Penny. She had seeds in her head and her hand, and goes on this mission to provide something based on those seeds. But she found that it wasn’t until people smelled the bread that they responded. As a society we have turned away from agricultural work, but I am always under the impression that a few good farmers can feed a lot of people. Let’s balance some of that industrial look with green space. Space to move, space to gather, space to just breathe. One of the crops that did very well for me this year was the strawberry patch. I was able to individually freeze five-gallon bags of strawberries to make about 40, 8 oz. jars of jam. Jam! If you ask people to come and do some of this back bending love in the garden, jam makes them more aware of the whole process. This tastes at least as good if not better than what is available in the store! ABOG: In seeing the garden, and then eating the jam, people can understand gardening if they see the entire process and get to enjoy the rewards. WJ: It is an involved process. We are in such a short focused world right now. When you talk about a season to people it is incomprehensible. To me, fishermen and gardeners are two of the most hopeful people in the world. We are always speaking about the fish that got away, or how beautiful the strawberries were last year, and we are always looking forward to getting out on the water again or in the dirt again. I am both and for me those are foundational activities that put you in an ‘other’ space. Everyday we have to join the bigger space known as society but I need ‘other’ space. ABOG: And both are activities that connect with nature and the world and are not as focused on this fast paced day-to-day society we live in. WJ: Something so much bigger than ourselves that we are connected to. 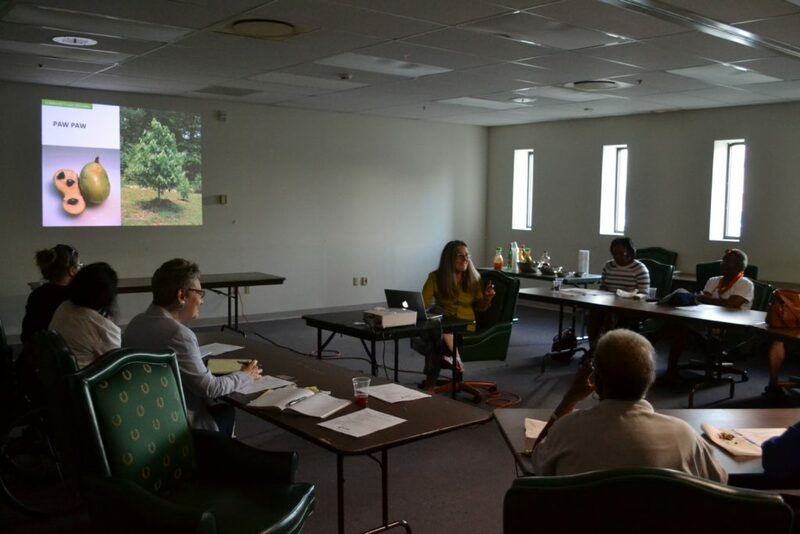 Fruit Futures Gary Community Orchard Collaborative kickoff meeting. Courtesy the artist. ABOG: Do you see art connecting to this project? WJ: For me art is life. Even the pleasure of biting into an apple is an art because it takes so many of your senses on a trip. Art is expressed through structure and the time and craft it takes to produce it, just like transforming a berry into jam. All are artistic expressions of what a small project like this can bring to a community. This project is cultural currency. If you go back just a couple of generations in America we had a connection that has now been broken. Things like the garden expose us to vital pieces of ourselves that have to be promoted in societies like ours. Green space is a stress reliever. When I show people the garden, the first thing they do once they get inside the gate is exhale. The significance of that experience has enveloped them. Given the nature of our social situation right now, it is very important that somebody take the time and responsibility to be at the end of the shovel on creating these things so that people can exhale just a second. Fishermen and gardeners are two of the most hopeful people in the world. ABOG: That’s a really nice metaphor. We all need to spend some time in the garden together. ABOG: Are there other goals that you hope the project will achieve? WJ: It is about young people. They have to be engaged in ways that stick to them and enrich their lives. That’s the legacy of this work. A 60-year-old person isn’t going to turn into a gardener overnight, but a 13-year-old has potential. ABOG: Are there plans to bring young people into the garden? WJ: I work within the community school system here and I want to make gardening available to young people through experiential programming. There is one 11th grader in my community working on the orchard project. He’s chomping at the bit to see where it goes and is an advocate for other kids. ABOG: When do you anticipate planting the orchard? WJ: Right now we are getting the transfer from the city. 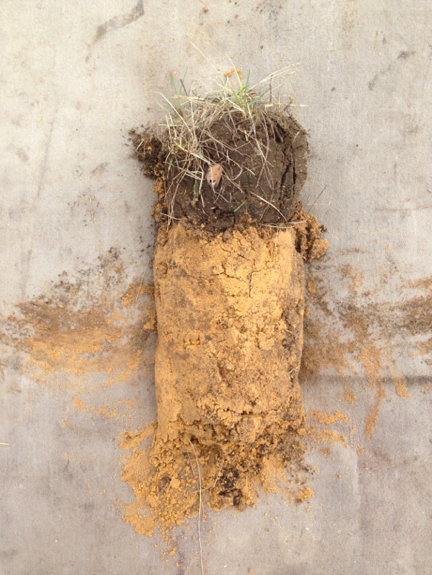 We next want to do some soil testing and start getting things in order before summer sets in. We hope to then be able to get the site ready for a spring tree planting. As a team we are looking to start a community land trust to be able to expand it and sustain it. Walter Jones is an educator working with the Gary Community School Corporation since 2000. He is a founding member, and Chairman of the Board of the Gary International Black Film Festival. His extensive theater performance experience with Morning Bishop Playhouse Community Theater, Gary, IN. refined his interests in storytelling and poetry. An avid gardener, he has assisted and advised in the development of two community gardens in Gary, IN, along with producing fruit, flowers, herbs, and vegetables in his own garden. With ARTetal, Walter is working to found the Fruit Futures Gary Community Orchard Collaborative.